CarShop Doncaster recently raised almost £600 for Bluebell Wood Children’s Hospice through several initiatives including a Charity Jumper Day and prize raffle. 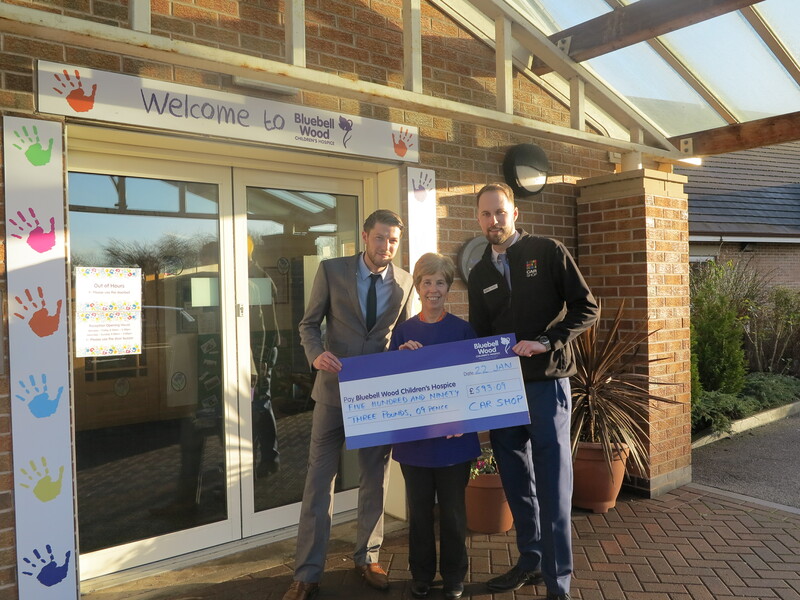 South Yorkshire’s largest used car retailer has a long-standing relationship with the hospice, and is really behind the exception support the hospice provides. Bluebell Wood, based in North Anston, has a highly specialised care team, offering care and support to children with complex medical needs and a shortened life expectancy. Helen Mower, Head of Fundraising at Bluebell Wood Children’s Hospice, said: “We provide specialist care and support for more than 200 children and their families, both in our hospice and in the community. We’re extremely lucky to have so much support from people like Car Shop, Doncaster who raise not only vital income, but also awareness of the work of our hospice, which is filled with love and laughter. For more information about Bluebell Wood or to sign up to an event, visit their website.